Hope you all are doing fine, Today's review is regards to one of my favourite hair care product. 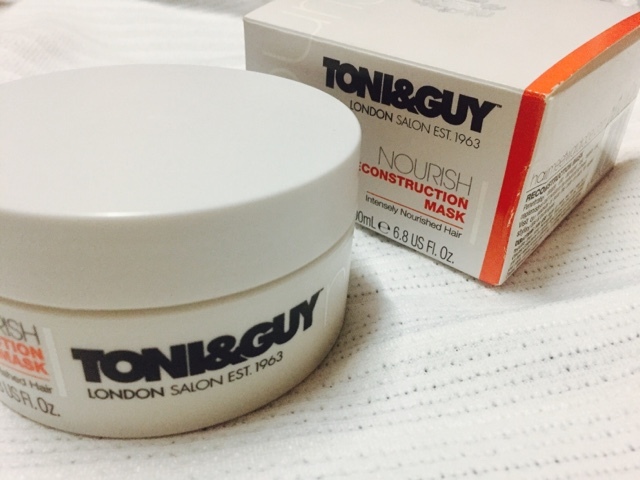 I adore some of the hair care range from Tony & Guy especially Moisturising Shine Spray and the very amazing Sea Salt Texturising Spray and recently got addicted to the miraculous Nourish Reconstruction Mask. 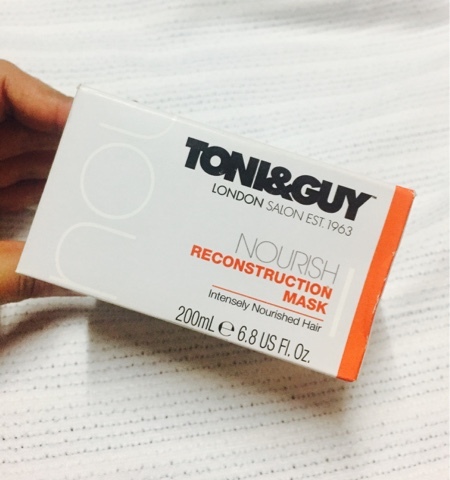 I've been using this product since a month now and it has done such wonders that I would love to share with you guys. As the climate changes so do we need to change our skin care and hair care as well. I got really damaged and dry hair with oily scalp, its a really weird combination :p and thus needed a product that would just do right. It is equally essential to nourish your hair using a good hair mask or a spa because only using a conditioner cannot solve all our hair problems, so once or twice a moth hair spa is essential. Its very easy to use, Apply to clean, wet hair, Leave for 3-5 minutes then rinse thoroughly. you can also use it as a spa product by just applying it all over scalp and to every hair strand, Leave it for 15-20 minutes with steam provided (optional) and rinse it thoroughly, it gives great result with long lasting effect. I would highly recommend this product to anybody who wants instant shine, smooth and frizz free hair. The best part is not only Women but also Men can take the benefit of it. I hope you find it meaningful and useful, for more reviews Keep visiting. Thank you for stopping by and reading it . 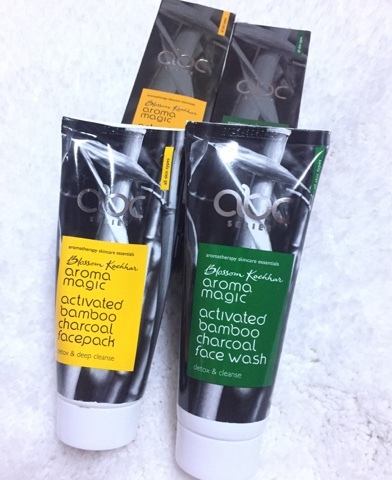 Aroma Magic Activated Bamboo Charcoal The Secret To Perfect Skin. Hope you'll are enjoying the festive season and much pleasant climate which has began. I'm talking about Winter, Winter is liked the most by me because I like the feel of cold and also you can wear all the darker shades of lipsticks be it wine or plum :p Today's post is to give you guys some tips on how to transition your summer skin care routine to autumn or winter. So lets get in to it. It is very important to update you skin care regimen according to seasons because Your regular 3-step skin care system may not be a year-round deal. Just like you switch up your wardrobe in accordance with the seasons, you should also be rotating your products to protect your complexion against the elements. The environmental conditions of where you live can impact the way your skin behaves, so paying attention to the weather will effect what types of treatments it needs. 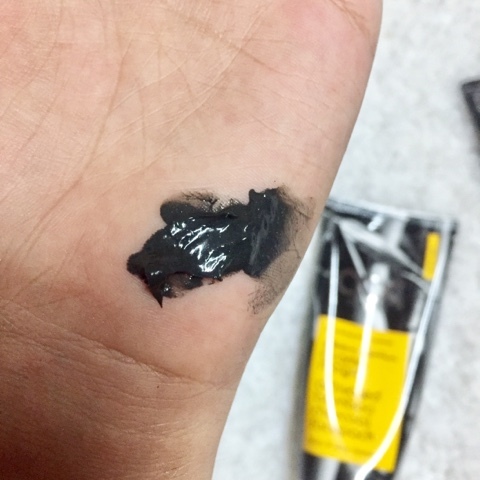 I'm very fond of Charcoal products, its like When dirt and oil in your pores come in contact with the carbon, they stick to it and then get washed away when you rinse so isn't it a great way to get rid of dirt from your pores ? well !! 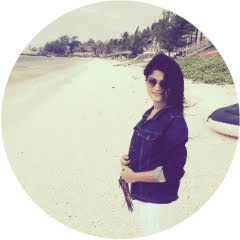 I've come up with very effective and great product by Aroma Magic which is really my secret for great skin. 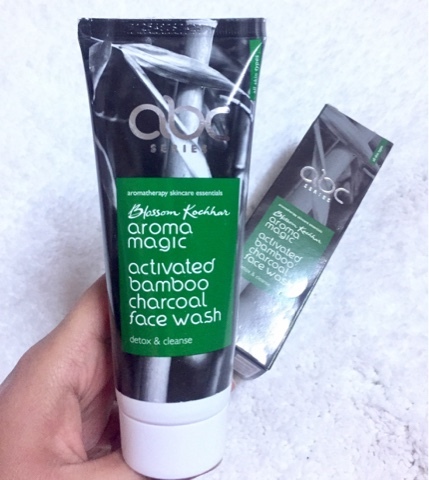 Aroma Magic Activated Bamboo Charcoal Face Wash. The activated bamboo charcoal in its formulation cleanses skin deeply and gets rid of impurities & toxins. 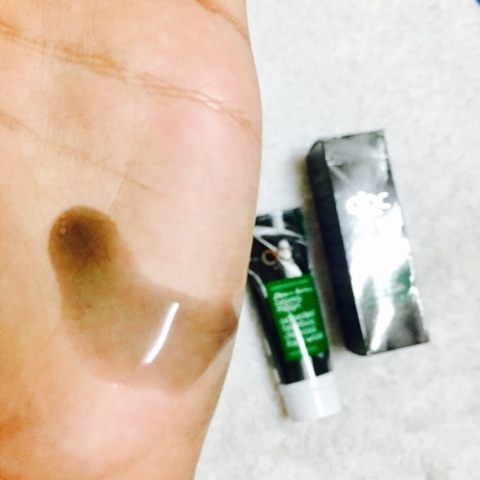 The face wash is a dull and light black colored gel, Removes dead cells allowing the skin to breathe. Promotes cell regeneration and increases blood circulation that brings glow to skin. Its antibacterial and anti-fungal properties help guard skin against free radicals. Works gently on skin to make it lighter and brighter. Tightens pores leaving it perky and toned but it goes on really well for people with combination and oily skin because it is a little drying which wont suit dry skin. 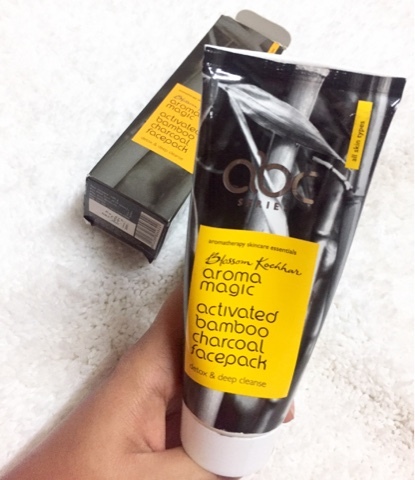 Aroma Magic Activated Bamboo Charcoal Face Pack. I've already mentioned this product in my previous post, I truly adore this one because it has solved most of my skin related problems and I got visibly great results. It transforms your skin in 6 miraculous ways. It lighten and brighten the skin instantly by exfoliating dead skin cells. It deep clean with activated carbon that draws out dirt, oil and makeup. It nourish with minerals and vitamins in Himalayan clay. It protect with the anti bacterial shield in organic essential oils. 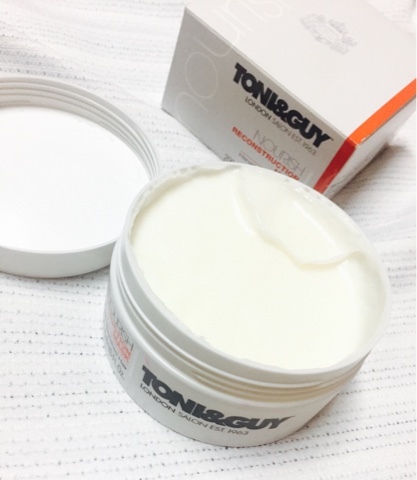 It gently smoothen and tighten pores leaving your skin younger, fresher and radiant. I would recommend you to apply it at least thrice in a month for good results but for people who travels a lot and go through all sort of pollution should use it once a week, it really helps to get rid of dirt and excess oil produced due to pollution and its very relaxing as well. I just thought of adding this product because the combination is really amazing and I know it'll help lot of people in getting a perfect and a better skin. 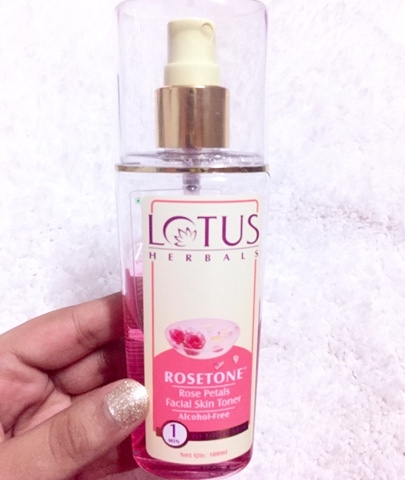 I use a lot of toner throughout the year but for winters its only Rose water that suits and helps in nourishing as well. Rose water suits a lot of skin and it never harms, so anybody can use it without a second thought. I truly adore this one because its so natural and I love the packaging a lot, it's very easy to use you can just spray it all over your face or use a cotton pad to apply it. Toner is equally essential to keep your skin healthy and clean. It completes the perfect cleansing routine. Provide a glowing, smooth complexion and reveal fresher skin. Higher recommend this one. If you guys reside in Mumbai you can visit the Aroma magic store in R city Mall, They have some really great products that will definitely suit your skin. Otherwise you can also get all of these online. I hope you find it meaningful and useful. Thank you for stopping by and reading it.